The revival of the English apple industry is a remarkable story, closely intertwined with the intriguing life of Melvyn Newman. 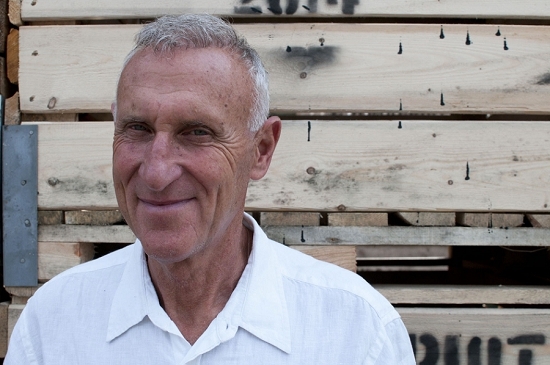 Melvyn grew up as the third generation working in his family wholesale business in the original Covent Garden Market. 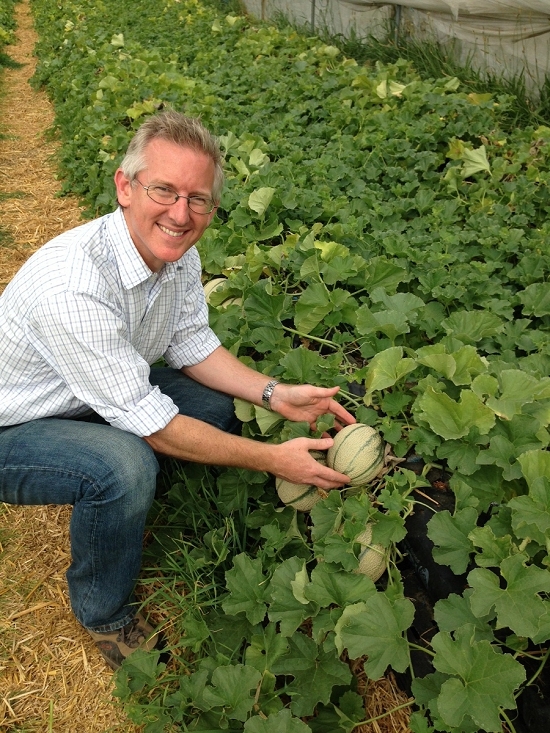 Since those early days, he's built up his company Newmafruit into one of the largest fruit operations in the UK, working over 1300 acres on various sites in East Kent. The company grows apples, pears, plums, cherries, strawberries, raspberries, blackberries and, for the first time this year, a successful trial crop of five thousand Magritte melons. 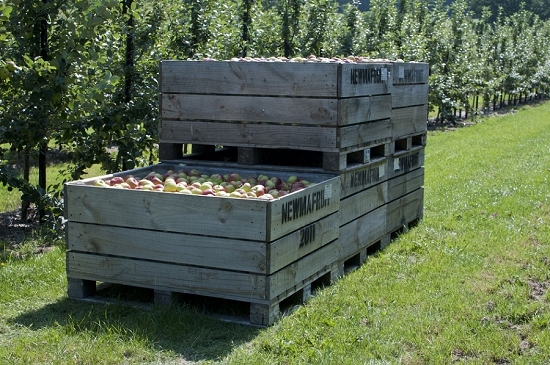 With the apple season now underway, pickers and packers are at full stretch bringing in some of the 60,000 tonnes of product that Newmafruit handles each year. Melvyn also still owns S Newmans, a wholesaler at Covent Garden Market. 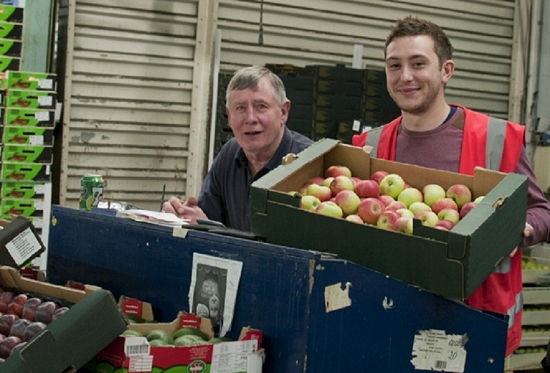 This business is managed by Michael Ford, who has observed a steady increase in demand for homegrown fruit: "That's the big turnaround in the last ten years – the English public buying English produce." Back in the 1960's, Melvyn started helping out in the family firm. "I never took to it because of the early mornings," he explains. "One day I remember I looked down and I was wearing one brown and one black shoe." In 1973, his father bought a small farm near Paddock Wood in order to grow their own fruit to wholesale. The first farm managers didn't settle in, so Melvyn went down to have a look for himself: "I thought to myself I wouldn’t mind doing this …"
The rest, as they say, is history. 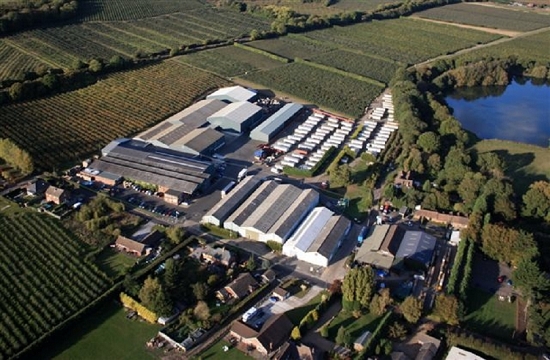 "In 40 years he has taken it from a 20 acre farm in Paddock Wood to a 1300 acre farm," explains Tony Frankham, managing director of Newmafruit, who now runs the business day to day. The success of the company lies with their steady expansion and relentless focus on, as Melvyn puts it, "sweating their assets". Their melon crop this year is a prime example, making cunning use of poly tunnels left vacant after a crop of Elsanta strawberries. 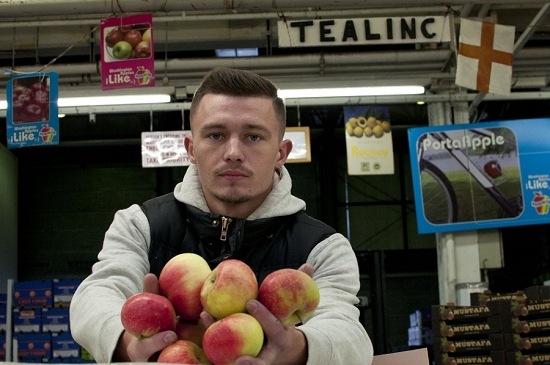 For Tony, a key ambition is to extend the period in which they can supply English dessert apples from their high-tech cold stores: "Our objective is to be a 12 month dessert apple supplier." 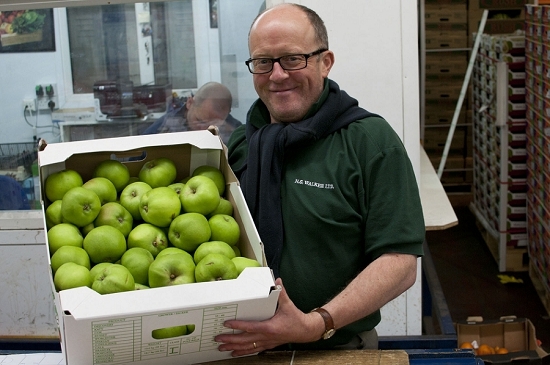 "Now they are saying that if they could get English apples all year round that would suit them down to the ground," explains Adrian Barlow, chief executive of English Apples and Pears. "There is a huge potential [here] … but we mustn't get to a point where we are trying to sell late in the season and the quality isn't good enough," says Adrian. "Good things about the crop is that we will have a lot of colour on apple skins, a very good clean finish, good sugar levels, and lots of juice. 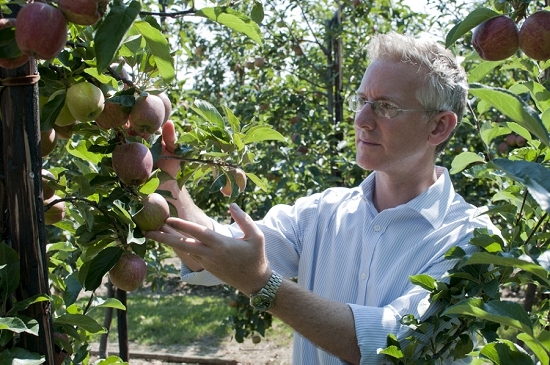 Apple size will be average only because of the weather – they won't be large apples." At Covent Garden Market, traders are now well into the season. 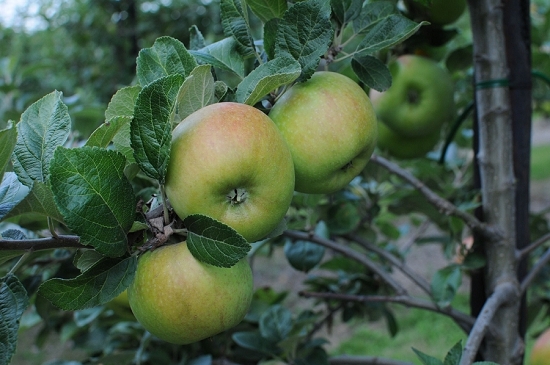 After the Discovery, Early Windsor and Worcester, we'll soon see Egremont Russet and Cox at the end of September, before Gala and then Braeburn after Christmas. As a final word, this is best left to Melvyn Newman himself: "I feel pleasure with what I've achieved. It's not work to me - it's enjoyment." Switching to farming perhaps chimed with his innate character. "As a boy I went home especially and watched weather forecasts," he says, with a smile. It's the weather, he adds, that's been the biggest controlling factor in all of his years growing fruit. "It's always been a frustration but also a fascination – to battle the elements and come out winning."